Our company experience with Linux® & Unix® before then, starts in the early 90’ when our Xi® MTower™ SP received the prestigious 1994 BYTE Magazine/NSTL Lab award “MOST EXPANDABLE”. In the same years we were also pioneering the first dual processor workstations & servers, using Intel® Pentium® Pro with the early versions of Linux. We were working with two, at the time young, motherboard manufactures, Supermicro® and ASUS®, with which we enjoy a continuing prolific partnership to the present days. We have been installing and offering Linux based systems for over 20 years and three of our engineers at the time are still doing it now, here @Xi® Computers, capitalizing over 60 years of Linux experience. One of the great advantages of being a custom system builder is to be independent from specific hardware and software configurations typical of “en masse” production. For that reason we are able to side our huge hardware selections with a variety of OS platform including a long list of Linux distributions spanning from Workstations to Servers and HPC Clusters. In the process of optimizing a specific hardware and software selection, our experienced sales consultant will make sure all the integration compatibility issues are covered and otherwise addressed with the necessary modifications to satisfy all our client needs. The following is a list of the currently available Linux platforms on our systems and their most important features. CentOS stands for “Community Enterprise Operating System” and is one of the most Enterprise oriented but still free and community-supported Linux computing platform. Aiming to compete with RHEL (Red Hat Enterprise Linux) has a great popularity in the scientific community. As Red Hat certified professional we of course support our computer with the Fedora Project. Again, as SUSE partners we are installing our systems with latest versions of OpenSUSE. Scientific Linux is an Enterprise Linux rebuild sponsored by Fermi National Accelerator Laboratory; is built from the source code for Red Hat Enterprise Linux versions. While the support and popularity of Linux is constantly growing, many parts manufacturer do not enjoy the vast availability of drivers present with Microsoft® Windows® products. We are always attentive in the configuration and installation process of our Linux computers, but some components might not be completely supported by the specific Linux selected. In the pre-sales specification and building processes, we actively interact with our clients to assess and possibly eliminate any foreseeable HW-SW integration problems. 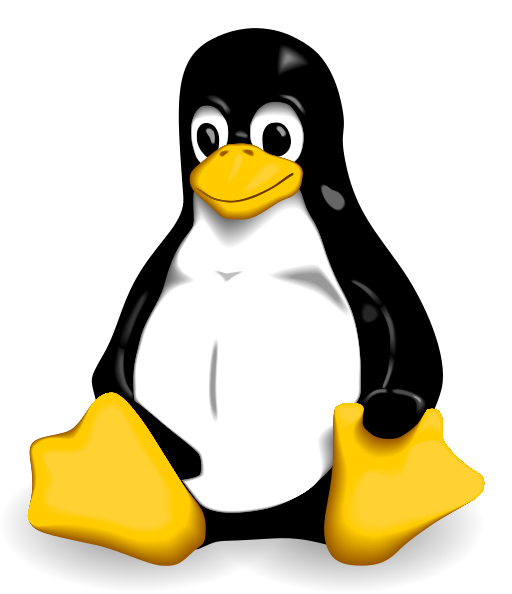 While we are in general devoted to technically support our systems on a life time basis, our support for Linux, especially for the free Linux distributions versions, is relying solely on our experience and on what is found in the Linux community support. Each of the above links will provide a detailed specification of each platform and the access to a highly customizable system configurator capable of generating a custom quote. In each system configurator, for each hardware platform, most of the above Linux platforms are available for selection. For sake of brevity some of them are not present, but our clients can select “No OS Installed” option and insert in the notes field of our online quote system their OS preference. Our sales consultant will then be happy to optimize and propose the best option available in a custom quote. Dual Boot Windows & Linux are also possible. All trademarks and brands mentioned on this website may be legally registered. They are subject without restriction to the terms of applicable registered trademark rights and the ownership rights of the respective registered owners. The mention of a trademark should not be taken to indicate that such a trademark is not subject to third-party rights. The content and work created by the site operator on these pages remains our copyright. Replication or utilization of such photographs, graphics and texts in other electronic or printed publications requires the express consent of the respective author or creator. All trademarks and brands mentioned are the property of their respective owners. Complying with all applicable copyright laws is the responsibility of the user. @Xi Computer reserves the right to change, without notice, product offerings, prices or specifications. Intel, Intel Inside, Xeon, Xeon Phi, and the Intel Core logos are a registered trademarks of Intel Corporation in the U.S. and/or other countries. Red Hat and the Red Hat logo are a registered trademarks of Red Hat, Inc. | SUSE and the SUSE logo are a registered trademarks of SUSE LLC. Fedora and the Fedora Logo are a registered trademarks of Red Hat, Inc. | OpenSUSE and the OpenSUSE are a registered trademarks of SUSE LLC. Scientific Linux and the Scientific Linux logo are a registered trademarks of Fermilab. | Debian and the Debian logo are a registered trademark by Software in the Public Interest, Inc.
YouTube and the YouTube logo are a registered trademarks of Google Inc.
Security & Privacy @Xi Computer protects your security and privacy. We will never sell, rent, share or ask for personal information in an email newsletter. If you receive such a request, please do not respond to the email. Please refer to our website to learn more. © 1996- @Xi® Computer Corporation | All Rights reserved.